​Teams of 4 persons will spell words in writing in three rounds (Easy, Intermediate and Difficult). If a word is misspelled, the team has the option to “buy” Bee Bucks and remain in the competition. from students GRADES K – 12 will be on display during this event and a WINNERS will be announced! Additional Bee Bucks are $10 each.Awards for best costumes and table decorations, Prizes for best spellers. Public is invited to join in the fun! Light refreshments provided. Soggy Bottom Farm and Happy Hens and Highlands present Spring on the Farm on April 9. Join us for a fun filled day with local, farm fresh products, handmade arts and crafts, music and a petting zoo. Rain date set for April 16. Fun takes place from 10 a.m. to 4 p.m. at 2365 Altapass Highway in Spruce Pine, 28777. For more information, check out soggybottomfamilyfarms.com or happyhensandhighlands.com or call 828-385-2365 or 828-208-5015. 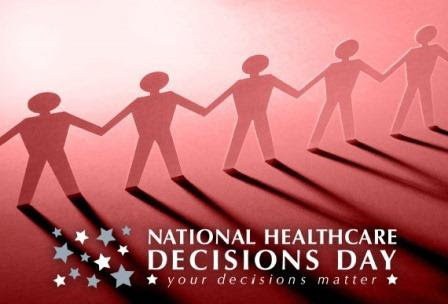 Come celebrate National Healthcare Decisions Day by creating a living will, also known as an advance directive. The Living Will Workshop, sponsored by Appalachian Regional Healthcare System and Caldwell Hospice and Palliative Care in the High Country, will be held on April 16, 2016, in the Watauga Medical Center auditorium from 11 a.m. to 4 p.m. Different from a traditional will, a living will is established to communicate end-of-life medical decisions. If a patient is unable to communicate, a living will explains the level of life-saving measures the patient prefers to their family and medical providers. The free workshop will allow participants to complete a basic living will and assign a healthcare power of attorney. Healthcare professionals will be available to answer questions and notarize the completed advance directives. Additionally, Carolina Donor Services will be on-site to provide attendees with an opportunity to become organ donors. Participants are welcome to come anytime, or attend brief educational sessions held at11:30 a.m., 1 p.m. and 2:30 p.m. Participants are encouraged to pre-register at https://www.apprhs.org/will. Once registered, participants will be directed to a new window where they may print/complete their advance directive forms ahead of time. Remember do not sign the forms until in the presence of a notary on April 16. Walk-in’s are also welcome. For more information, please contact Melanie Childers at 828-266-1178. To learn more about Appalachian Regional Healthcare System visit https://apprhs.org/. For more information on Caldwell Hospice and Palliative Care in the High Country visithttp://www.caldwellhospice.org/. We welcome three new practitioners to our beautiful Boone community and BHAC with open arms. We look forward to you meeting them, getting to know them, and experiencing the wonderful services they have to offer. Learn about how our new practitioners can help you achieve a healthy level of wellness that is right for you. Visit their pages on our website and be sure to take a look at the Introductory offers and specials avaliable for you. Specializing in creating Ayurvedic wellness programs that are unique to you! The Watauga Soil and Water Conservation District Board will hold its regular Board meeting Wednesday, March 30, 2016 at 8 a.m. at the Soil & Water Office located at 971 West King Street, Boone NC 28607.The public is invited to attend.